We are amongst the most reputed names in the industry, offering Mantra Fingerprint Scanner. 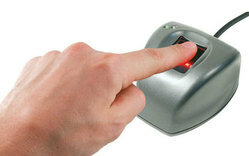 We are offering an extensive series of Cogent Finger Print Scanner. These products are extremely employed in the market for diverse purposes. Kasmarc Manufacturing Company Pvt. Ltd.
- MFS100 is brand of Mantra softech - STQC, GOVT. 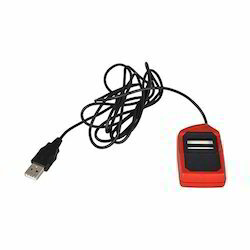 OF INDIA certifed USB Fingerprint scanner equivalent to FBI PIV certification.